A SURVEY HAS found that one in ten Irish motorists use their phones while driving. This is despite a change in the law earlier this year which made texting illegal. On Friday, the number of penalty points for using a phone while driving rose from two to three but we want to know if you think this will stop people. Are penalties for using your mobile phone while driving strict enough? 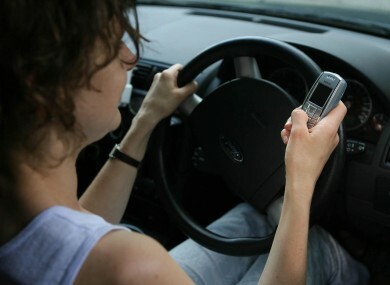 Email “Poll: Are penalties for using a phone while driving strict enough?”. Feedback on “Poll: Are penalties for using a phone while driving strict enough?”.